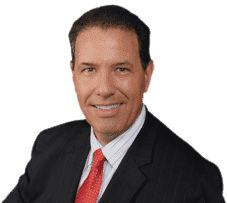 Robert E. Gluck, your choice for a Dania Personal Injury Attorney, is there to help in the event that you have been injured in an accident in which you were not at fault. By first acting quickly to establish that negligence was the cause of your accident, he will represent your best interests through your claim. Those with legal representation fair better when negotiating a claim, so in Dania, the personal injury attorney that you can trust to ensure that the party responsible should be held accountable for your medical costs is Robert E. Gluck. Practicing law since 1989, he works with steadfast resolve and diligence for your case. Your attorney should listen to fully understand the details and your concerns in order to properly represent your case. Dedicated to making sure clients receive the compensation they deserve, Robert E. Gluck, your Dania Personal Injury Attorney, will do so and then collect evidence necessary to support your claim. When you trust Robert E. Gluck as your Dania Personal Injury Attorney, you can trust he has the skills necessary to win your case. He will advise you through the process, answering questions and exhibiting a devotion to his clients that is evident by the manner in which he approaches each case.